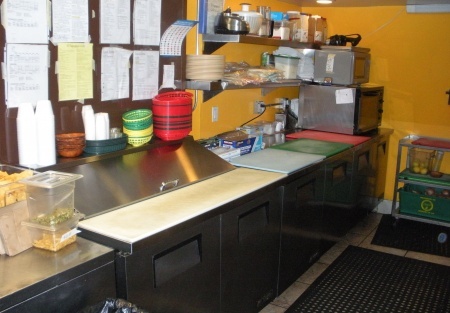 A unique opportunity to own and operate a new Tahoe Grill and Cafe. The price has been reduced to sell TODAY. The Seller is also the Landlord. This restaurant is in a free standing building, built originally in 2006 it features 1,300 Sq Ft inside accommodating approx 30 seats with a large 1,500 sq ft outside Deck and Patio garden area seating another 50. There is ample parking on an approx 0.50-acre lot. On 2 floors with ample storage, office and a small private dining room, which could also be living space if so desired. With a Beer and Wine license, this establishment sits on the main Hwy 50 with superb curb appeal. The show Kitchen sits proudly at the rear of the dining room allowing service to be viewed. This opportunity would suit a Chef looking for his first own venture or a couple wanting a change of pace from the city and enjoying the benefits of ownership while living in the mountains. The building stands alone and makes the perfect setting for a sit-down full service dinner or a casual drink in the garden glancing at views of the Tahoe Mountains. Presently the Restaurant is only open for Lunch & early Dinner, so there is huge scope to increase business by opening for Breakfast & late Dinner especially in this Tourist location.Opening for breakfast alone should increase business by 40%.